With the rise in demand of smaller tablets, Samsung released the Samsung Galaxy Tab 3 7.0 inch to stay competitive in the market. The device is priced cheaper than most of its big-name direct competitors. Like most Samsung products, the Samsung Galaxy Tab 3 7.0 inch comes with a plastic casing, which, in general, make a device feel flimsy. The device comes with a 7 inch screen, which unfortunately has a rather poor resolution; only 1024 by 600 pixels. On the bright side, the tablet has some good viewing angles. 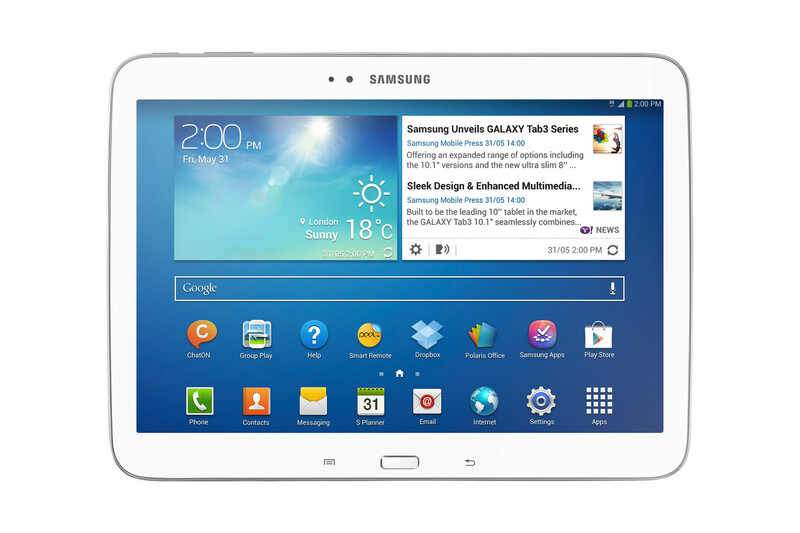 The Samsung Galaxy Tab 3 7.0 inch is powered by a dual-core 1.2 GHz Marvell Armada PXA986 processor. Although the processor itself is not a state of the art component, it is sufficient to get through casual browsing and gaming. It has 1 GB of RAM which is rather decent to ensure smooth multitasking and application switching. The device comes with 2 options for internal memory; 8 GB or 16 GB. The memory can be upgraded with an external micro SD card. In short, Samsung Galaxy Tab 3 7.0 inch seems a little rushed. Despite it being priced lower than its competitors, it dulls in key areas compared to its rivals and the price doesn't seem to be justified. There's no getting around it - the Samsung Galaxy Tab 3 7.0 is a deeply average tablet that's been way over-priced by Samsung. But then, the Samsung Galaxy Tab 3 7.0 isn't really a modern tablet - it's a reminder of the way tablets used to be in the not-too-distant past. If you want to see where the next generation of Android tablets is headed, check out the similarly priced Google Nexus 7. The upgrade in specifications on paper from the Tab 2 to the Tab 3 isn't spectacular. For the price you pay, you get a tablet that gets the job done, but feels lacking if you are a heavy user and want to play graphically heavy games and want a lot of multitasking. For heavy-duty use, you have devices such as the Nexus 7 (even better if you can get your hands on the second gen one from the US) as the tablet has a better display, better power under the hood and a stock Android interface. If you are in the market to pick up a sub-Rs. 20,000 tablet, you may want to consider options such as the Nexus 7, Asus Fonepad, Zync Quad 8 before making your purchase decision. The Samsung Tab 3 T211 is a real disappointment as it barely improves anything from last year’s model. In fact, the performance has gotten worse. With a retail price of Rs 18,890 for the 8GB variant, it’s highly overpriced and not worth the premium. The only redeeming feature is the relatively good battery life but it falls flat in almost every other department. The Asus Fonepad offers much better value at Rs 18,000 as it packs in the same feature set but with 32GB onboard memory and an HD IPS display. If you absolutely need calling capabilities then we highly recommend the Fonepad over the Galaxy Tab 3. Positive: Design; Android 4.2 with TouchWiz; Intel's CPU; decent price. Round 3. A new SoC is used and the 3G model has been replaced with an LTE module. Now an Atom SoC from Intel can exhibit its performance. Are these the significant differences compared with the 10-inch precursor or is there more to it? Samsung tried to deviate from the standard design for an Android tablet and the gamble almost worked. Sure, the tablet runs Android on an Intel Atom processor, but there are lag issues that plague it such that it is not a good experience compared to the standard ARM based competitors. Samsung certainly improved the look of the Galaxy Tab 3 to reflect its smartphone Galaxy devices, which may be a hit or miss to some users depending on how you feel about either device’s plastic exterior. We just wish Samsung would put as much effort into the internal specs and overall performance of the Galaxy Tab 3 to help make it a must-have tablet, but at this point, it’s full of more disappointment than. Samsung has left the Galaxy Tab line languishing, as it focuses its efforts on its superior Note devices. The Galaxy Tab 3 10.1 isn't much of an improvement over the Tab 2, which itself was only a modest update to the original Tab. This isn't a three-year-old tablet, but it feels dated right out of the box, thanks to its low-res display and middling real-world performance. That might be acceptable if this tablet was priced at $300, but at $400 it's tough to recommend the Tab 3 over the multitude of more capable competitors. The Nexus 10 is markedly better in nearly every way, and even the year-old Asus Transformer Pad TF300 offers a more compelling experience. And if you've got your heart set on a Galaxy Tab, the Tab 3 8.0 is the better choice. Nothing ever really changes when it comes to Samsung's 10.1-inch Galaxy Tab. The Tab 3 10.1 is proof positive of that. This 2013 iteration is a parallel move for the line that attempts to mix up the package of mid-range specs with a terrible brown plastic coat. The Galaxy Tab 3 10.1 has all the makings of very nice tablet comfort food for Samsung phone owners. You get a design and software similar to those on the Galaxy S4 -- minus some features -- as well as the ability to control your TV. The robust quick settings and loud stereo speakers also help differentiate Samsung's midrange 10-incher. Positive: Nice appearance; decent performance; very good autonomy; big screen; sleek design. Positive: Elegant design; bright, good color and wide viewing angles of the screen; performance. Negative: 3 megapixels with no flash. The Galaxy Tab 8.0 wasn't designed to be a flagship model or as a direct competition to any other tablets out there. In fact, it doesn't really have any kind of competition out there. 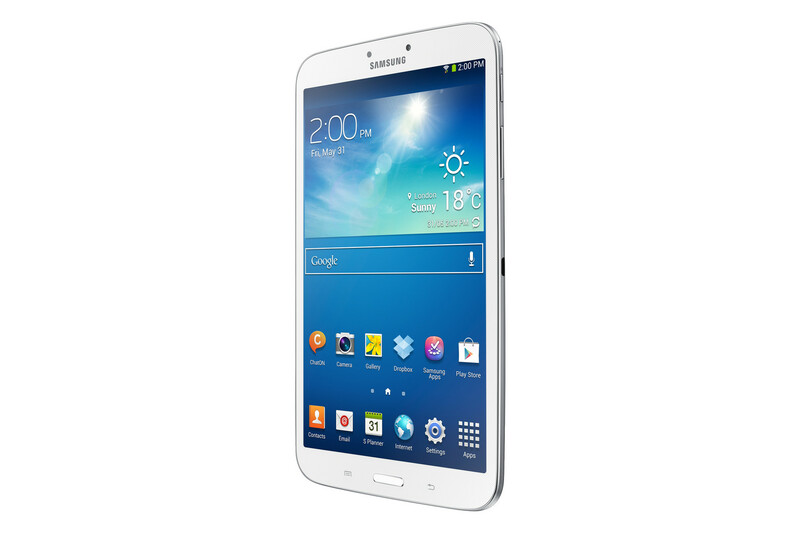 Just like its predecessor, the Galaxy Tab 3 8.0 was designed to please customers preferring smaller tablets. Its design is very similar to the Note 8.0's design. It is still very much plastic and doesn't have the premium built quality of the iPad mini. What it loses in build quality, it compensates in size. It is as light as the iPad mini and much lighter than the Nexus 7. The 8-inch, 1280-by-800-pixel LCD is pretty much standard and like most Samsung displays, it produces very sharp and bright pixels. Its buttons are configured just like on the Note 3 and it has an IR-emitter, micro-SD card slot and surprisingly, a micro-USB port. Also on board are Bluetooth 4.0 and GPS but no NFC. Performance wise, the Galaxy Tab 3 8.0 does lack slightly when compared to the Note 8.0. It only has a 1.5 GHz dual core processor, 1.5 GB RAM and 16 GB internal memory. However, this is sufficient for the average user. 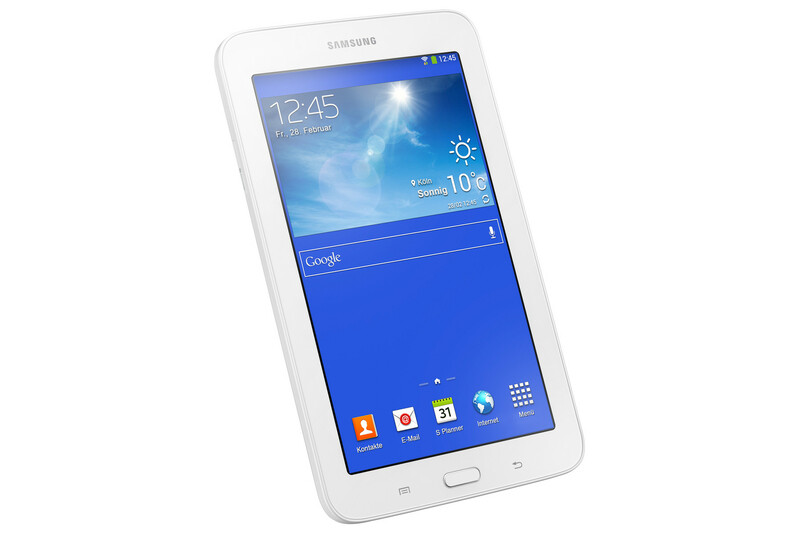 All in all, the Samsung Galaxy Tab 3 8.0 is a very good looking device with average performance. It might be slightly pricier than the Nexus 7 but is actually a better device. Samsung also suggests that it has the best battery life among its competitors. Tab, the third. Samsung has something for everyone in its tablet portfolio: the Galaxy Tab 3 8.0 is aimed at users who are looking for a medium sized tablet and can do without pen input. Confidently, Samsung wants 299 Euros (~$397) for it - an appropriate value for the money? Keeping in mind that Samsung didn’t design the Galaxy Tab 3 8.0 to be a flagship, ultra-powerful device, we feel this tablet performed adequately for its intended use. With that said, there’s one key aspect of the Galaxy Tab 3 8.0 that holds us back and that’s the price. The 16GB version of Google’s new Nexus 7 sells for $229 which is a full $50 less than the Galaxy Tab 3 8.0. If you are in the market to pick up an 8-inch tablet, you have the iPad mini as a great option as well. But the mini doesn't have calling capabilities. You have other budget devices such as the Zync Quad 8 too available in the 8-inch form factor but the overall performance of the Galaxy Tab 3 311 is better. 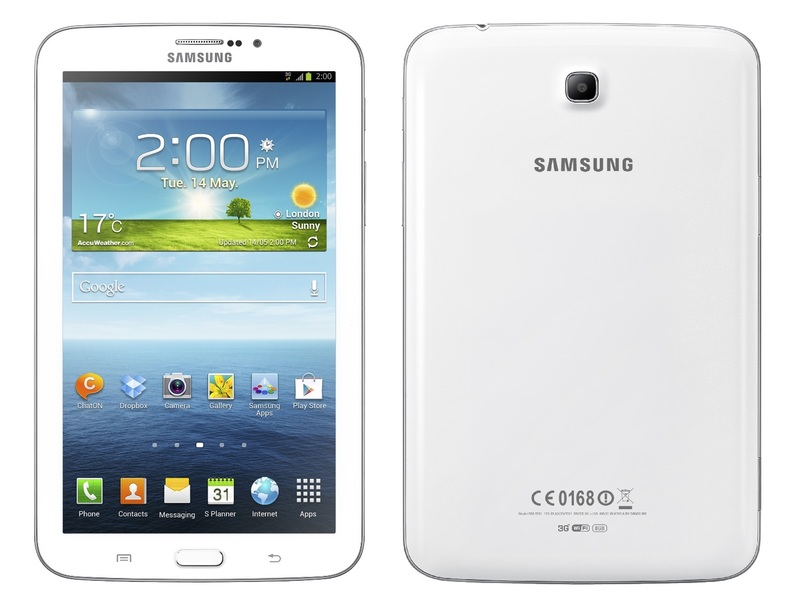 If calling capability is a must, then the Galaxy Tab is the device for you. If not, you may want to consider the iPad mini since the Apple app ecosystem is great for tablets. If you want the best performing Android tablet and don't mind a 7-inch form factor and no calling capability, you can take a look at the second-generation Nexus 7 tablet. We honestly believe both tablets are geared towards different people, so if you’re the kind of person who wants the most powerful tablet in a small frame, you shouldn’t be looking at the Galaxy Tab 3 8.0 as it’ll leave you disappointed. But if you’re looking for an 8-inch tablet that will allow you to keep up with your emails, browse Facebook and take photos with, then the Galaxy Tab 3 8.0 is a pretty good choice, although it certainly isn’t the best. That crown would still have to go to the Nexus 7 (2013) at the moment. Our biggest knock against the Samsung Galaxy Tab 3 8.0 is its finicky performance, which admittedly is no minor complaint. Beyond that, though, the biggest fault we can find with the Tab is that it's simply not memorable. Sure, if you have $300 to spend and want an 8-inch Android tablet, it's an option worth considering. The Samsung Galaxy Tab 3 8.0 is a fine upgrade from what’s been offered at this size range by the manufacturer in past generations. While the Samsung Galaxy Note 8.0 bests this tablet in essentially every area save its smaller bezel, the Galaxy Tab 3 8.0 holds its own as a solid addition to the Samsung family of Galaxy S 4-era smart devices. Here the company brings an extremely thin and finely constructed mid-sized tablet that’ll serve its users well into the future. Overall, the Galaxy Tab 3 8.0 is an excellent 8-inch tablet, whether you're looking to multitask on the go or you want to kick back and control your TV. We like the thin and light design, bright and colorful display and the fact that you can enjoy many of the same software features found on Samsung Galaxy phones, such as Quick Settings and Multi Window. Positive: Elegant look; light and thin body design; excellent 8 display; Micro-SD slot. Negative: Relatively low resolution of the screen; relatively low performance; mediocre camera; no 3G/HSPA + 4G; high price. Samsung's monopoly in the electronics industry extends further with the introduction of a Lite version to the Galaxy Tab 3 7.0 to cater for the low tier, affordable segment of the tablet market. This variant comes with the same 7 inch display of the original version but only fitted with a 2.0 MP camera at the back. The battery is reduced to 3600 mAh, although the same Dual Core 1.2 Ghz processor remained as the chipset of choice. However, all the alteration that was made to the new variant only managed to reduce 0.2 mm from the tablet's original thickness. Surprisingly, the overall weight is increased by a small margin despite smaller battery and less sensors. Designwise, it sticks to the same traditional Samsung tablet design with its bezel edges and a physical home button at the center below the screen, which has become a trademark feature of Samsung phones and tablets.The overall dimension is a little bit smaller compared to the original version, and other than multiple colors to choose from, there nothing really outstanding. Lower hardware specifications along with simple composition, make the Galaxy Tab 3 7.0 Lite an affordable and simple tablet. With an basic Android OS as user interface and a low price tag for a tablet with 3G and Wi-Fi, Samsung is looking to compete with the likes of Asus, e.g. the Memo Pad 7, with more or less similar capabilities in the entry level tablet segment. Positive: Good price. Negative: Glossy surface, low resolution and poor viewing angles of the display; cheap appearance. Negative: Old single CPU; low-quality speakers; no front camera; small battery capacity and internal memory; TN screen. Positive: Pleasant appearance; good battery life; pleasant TouchWiz interface; low price. Negative: Poor screen quality; poor quality camera. Vivante Vivante GC1000+ Dual-Core: Integrated graphics card for ARM based SoCs.PowerVR SGX544MP2: OpenGL ES 2.0 compatible with 8 pixel and 4 vertex shadersARM Mali-400 MP4: OpenGL ES 2.0 GPU for ARM based SoCs with 4 fragment processors and 1 vertex processor.» Further information can be found in our Comparison of Mobile Graphics Cards and the corresponding Benchmark List. PXA986: Cortex-A9 based dual-core SoC with integrated WCDMA and HSDPA radio.Intel Atom: The Intel Atom series is a 64-Bit (not every model supports 64bit) microprocessor for cheap and small notebooks (so called netbooks), MIDs, or UMPCs. The speciality of the new architecture is the "in order" execution (instead of the usual and faster "out of order" execution). Therefore, the transistor count of the Atom series is much lower and, thus, cheaper to produce. Furthermore, the power consumption is very low. The performance per Megahertz is therfore worse than the old Pentium 3M (1,2 GHz on par with a 1.6 GHz Atom). 73.61%: This rating is bad. Most notebooks are better rated. This is not a recommendation for purchase.» Further information can be found in our Notebook Purchase Guide.